To switch between portfolio layouts, please go to Appearance > Customize > Ignis Pro options > Portfolio. 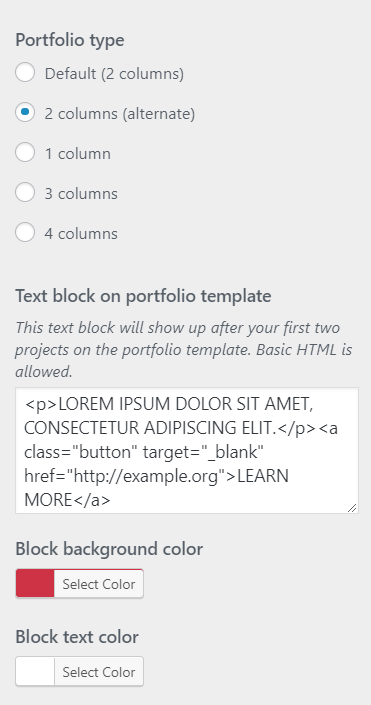 Add an configure a block of content which will show up after your first two portfolio items. This block supports HTML so you can configure it for anything you want.